In the ground this variety will grow extremely dense. It has tiny leaves that will turn a pretty purple-gray when given a sunny spot. 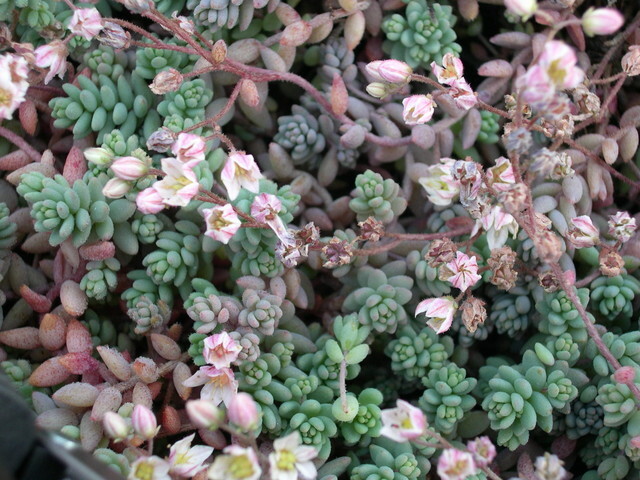 Pinkish buds open to white petals and creamy-yellow carpels in the middle. North Africa.